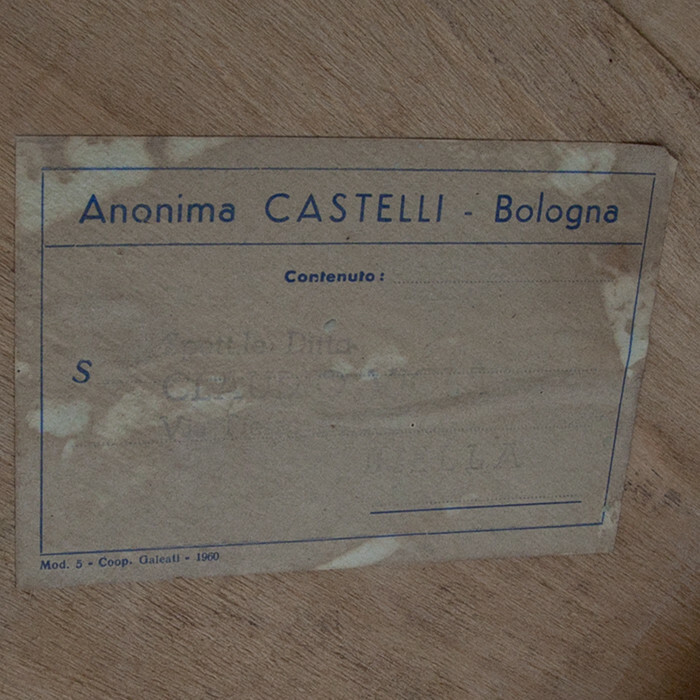 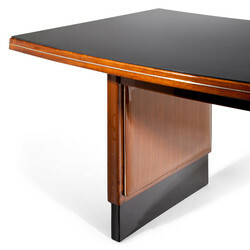 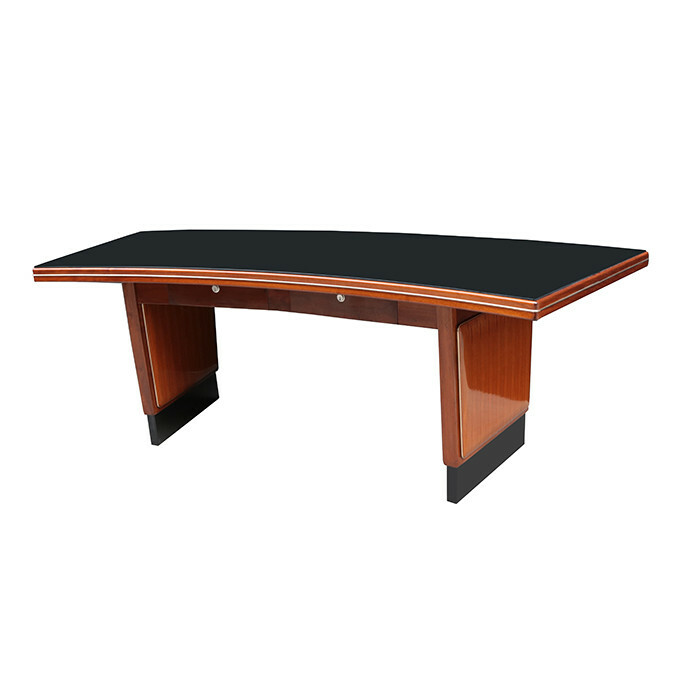 An Anonima Castelli Modernist Desk. Mahogany with patinated brass and ebony details, with a black glass top. 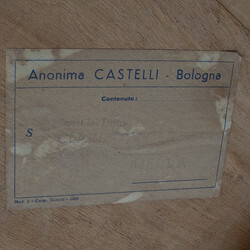 Featuring Original label. Dimensions: H:30¼ W:91 D:37 Inches.